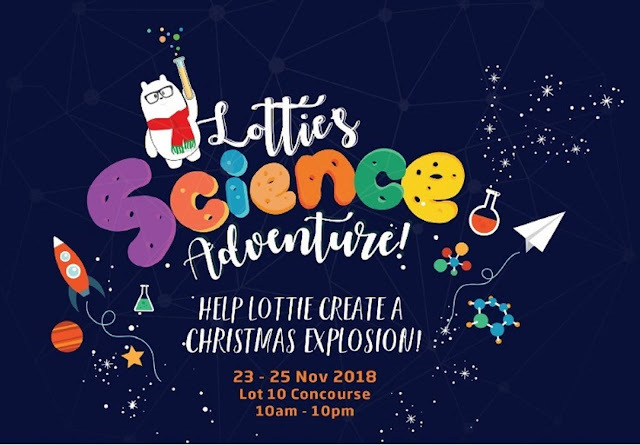 Explore the exciting world of STEAM through Lottie’s Science Adventure at Lot 10. STEAM is an integration of Science, Technology, Engineering, Arts and Maths. It embraces the 4Cs as key elements in 21st Century education – Creativity, Collaboration, Critical Thinking and Communications. Visitors will get to enjoy a host of activities catering for all ages that include workshops, performances, toy donations and repairs, free balloons as well as other amazing Science showcases throughout the entire weekend! There will also be fun activities like art workshops, building a geodesic dome, slime mixing, PH testing, building your own Android application, creating your own USB table fan and much more. Visitors at Lottie’s Science Adventure weekend will also stand a chance of getting the limited edition Lottie Bear by YTL Foundation. Getting to Lot 10 is a breeze - get off at the Bukit Bintang MRT station which stops in front of the mall or use GRAB which is offering passengers RM5 off using GrabPay to and from Lot 10.